The 2016 PBA Commissioner’s Cup semifinals cast was finally completed last night after the Alaska Aces throttled past defending champion Tropang TNT in their do-or-die affair. 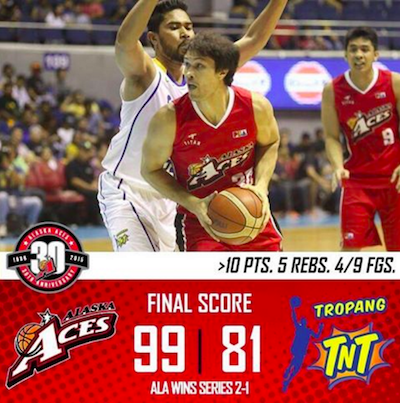 The Alaska Aces put together an impressive performance as they ran roughshod over Tropang TNT, 99-81, to advance to the Oppo PBA Commissioner’s Cup semifinals on Friday at the SMART-Araneta Coliseum. Import Rob Dozier was solid with 20 points on 8-for-13 (61-percent) shooting, while Calvin Abueva also played a big role with 18 points. 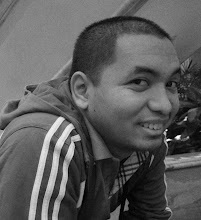 But it was truly a team effort as several other Aces made some timely contributions. Veteran Eric Menk had 10 points and five others chipped in with eight apiece as they made up for the absence of Vic Manuel, who was out with an injury. Calvin Abueva proved to be too hot to handle again. 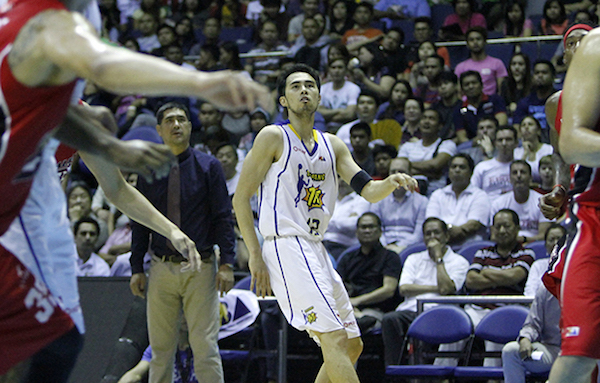 Larry Fonacier's 19 points went down the drain for TNT. Rob Dozier remained steady as the Aces dethroned the defending champs. After a tight first quarter, Alaska took control of the game with a big second quarter where they outscored TNT, 32-16. Alaska led 53-37 entering the halftime break with Dozier already tallying 14 points and nine rebounds over the first two periods. The Aces’ lead breached the 20-point mark in the dying seconds of the third quarter after a big triple from Tony Dela Cruz, 77-57. 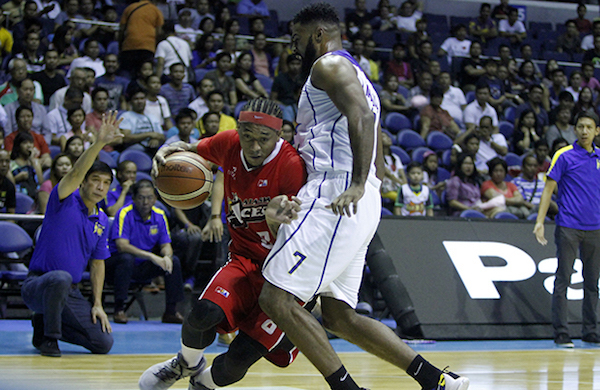 Abueva scored seven of Alaska’s first nine points in the fourth quarter as the Aces pushed that lead to a high of 25 points before cruising the rest of the way. 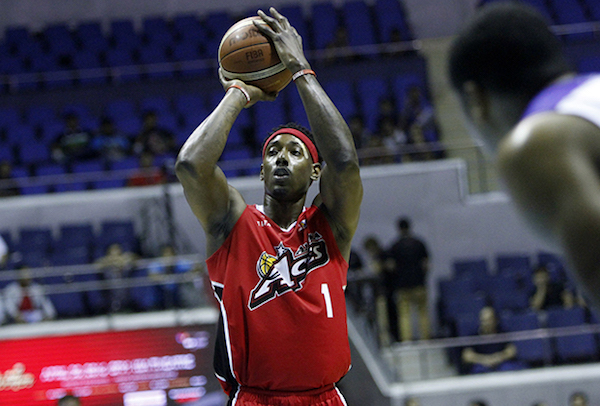 Alaska will next face Meralco in a best-of-five series for the a spot in the finals. David Simon led TNT with 20 points and 13 rebounds, while Larry Fonacier finished with 19 points, including five three-pointers.